Since 1881, Britain, Canada and the United States have been colonizing another planet. Now it’s 1940, and tensions between the world’s Empires are mounting because the English-speaking nations enjoy exclusive control over a uniquely powerful resource: genetically-enhanced humans known as ‘Champions’. 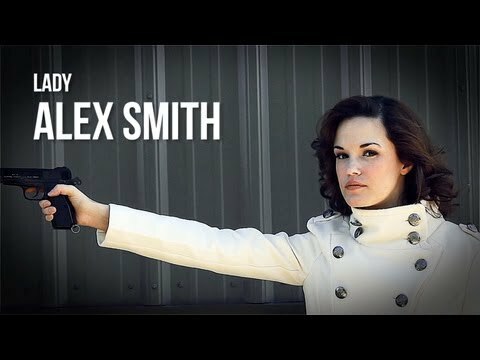 Lady Alex Smith is the newest Champion, and her best friend Stephanie Shylock has joined the British Army so they can work together. Along with Sergeant Mike Strong, a veteran soldier with a colorful reputation, these two must follow in the footsteps of their famous parents, and save the world… perhaps both worlds. The moose was not expecting a person-sized bird of prey to land beside his shoulder, but true to his nature, he simply stood there and watched as Alex completed her majestic leap and landed on the steep trail without so much as a bobble. Looking back down towards the rover, she gauged time and distance, then concluded she had half a minute to encourage the moose to depart. Shockingly, that didn’t work either. Still, the joke’s failure did leave her other options: she had her Browning, so she could fire into the air to try to scare the big fellow away. She could also try to make a moose call, to either distract or confuse him sufficiently to make him walk on. Or she could try something less elaborate. “Fine. Just remember I asked politely first,” she said, and then she reached out and shoved him. By all appearances, this was a largely placid moose – not nearly so aggressive as some of the big brutes found around Newfoundland – but no one likes to be pushed. Unfortunately, he wasn’t just pushed, but shoved by a Champion of the British Empire. He staggered sideways, then backed up a few steps as Alex put her hands on her hips and glared at him. The moose faced Alex as he backed off, then his head dropped low and his eyes got a bit more intent. Observing the body language for a moment, the young Champion decided he was seriously considering a charge – which she supposed she deserved. But if he charged right at the crest just as the rover was coming up… well. How he mistook her for another bull moose, Alex wasn’t entirely sure, but he certainly seemed to. Head down, he pointed his impressive antlers right at her and leapt forward. It wasn’t the attack of a predator – not like a wolf or a bear lunging for the kill – but anyone who discounted the immense power of a charging moose was asking for trouble. All he’d need to do was knock her over, then start trampling with his sharp hooves. That would be bad – especially for her coat. Skipping back a couple of steps, Alex opened the distance faster than he could close it – even weighing more than 1,000 pounds he was fast, but he wasn’t a Champion. Then she glanced very quickly around at the nearby terrain, and made her decision. Not certain whether a moose was likely to hold a grudge long enough to chase her (and the rover) for the rest of the day, she decided to discourage him. Letting him get into range, Alex kept her eyes on his massive antlers. Then, as soon as they were near enough, she caught two of the smoother-looking edges with her hands, and pushed back. The moose stopped dead in his tracks. It was not easy – 1,000 pounds of wild Newfoundland moose was trying to win a pushing match, and he’d undoubtedly done this many times against his own kind. But as Alex’s boots dug hard into the dirt of the trail, and her muscles awoke to the urgent duty they faced, he found himself facing a human with strength that simply didn’t seem natural for her size. Alex felt the moose’s big push building up, and she clenched her jaw and crouched down to further lower her center of gravity… then she leaned into the moose before he was able to lean into her. His feet started to slip out from under him, so he took a few steps back, then a few more. But because of their relative positions, Alex realized she was pushing him towards the rover. They had to go a different direction, so she started side-stepping as she advanced. The big fellow had no choice but to follow – she had him by the antlers. Once he was moving sideways, there was no way for the moose to really push back – he’d have to withdraw and reset – but he could panic plenty. His legs started lancing out in different directions, mainly trying to keep him upright, but also presenting a considerable danger to Alex – if he did manage to kick her, things could unravel. She needed him to stop panicking, so she began to push down. There was no way for him to resist now: Alex made his nose touch the trail, and then shifted her grip and straightened out his head so that his whole chin could lie on the dirt. After that, she very carefully torqued his antlers so that his legs went out from under him, and he fell over. With him completely down on his side, Alex crouched and continued to apply enough force to keep him planted. He struggled against her at first, but eventually he stopped trying – maybe giving up, or perhaps realizing she didn’t intend him any particular harm. “Deep breaths,” Alex advised the poor fellow, and his heavy snorts suggested he was probably following her advice, whether he understood it or not. In that precarious position, they both watched the rover crest the slope, and roll to a stop once it hit relatively level ground. Stephanie stood up in her seat immediately, a Garand rifle in hand and its strap wrapped around her arm to help with stability. He snorted again, which she decided to take as a good sign, and then she looked back up to the rover. By now Strong was standing in his seat as well, and along with Stephanie he was watching the display with open-mouthed surprise. Satisfied that the moose was sufficiently placid after his defeat, and that his natural instincts after being bested would see him run away, Alex slowly reduced the pressure that was holding his head to the ground. Feeling the change in force, he began to raise his head, and Alex let him up slowly, keeping her hands on his antlers the whole way. Even with his head held low by Alex’s grip, he towered over her – something the Champion herself was less aware of, but which was decidedly obvious to Strong and Stephanie. This giant moose stood still as she held onto him… and then she withdrew one hand… and the other hand. “Go on,” Alex nodded her head in the direction of the woods beside the trail, and the moose snorted at her before walking off. Stephanie looked from her friend to her Sergeant, and found Strong’s own face was a picture of surprise. Of course he’d been marching with Champions since 1919, and knew what they could do, but it was rather rare to see one demonstrating power so overtly as Alex had just done. Pinning a bull moose, literally with her bare hands? “And that means my coat is clean?” Alex was fixated, and with a grin, Stephanie looked back. “On our way, M’Legend,” he rather cleverly modified her title, and Stephanie pointed that out to him with a smile. “It was good, wasn’t it?” Strong replied, and Stephanie nodded with great enthusiasm. Alex rolled her eyes and moved to cup her forehead with her hand… but stopped when she realized her palm did smell a bit funny after the wrestling match. She decided not to touch her face (or her coat) until she found soap and water. She didn’t mention that, though, because she figured it might have ended up in the legend of whitecoat.